Adam Wilder gets digital with the Meng Chinese 155mm self-propelled Howitzer. Charlie Pritchett disects the Takom King Tiger. IBG’s new Scammell SV2S taken for a test drive by Dirk Eickholt. 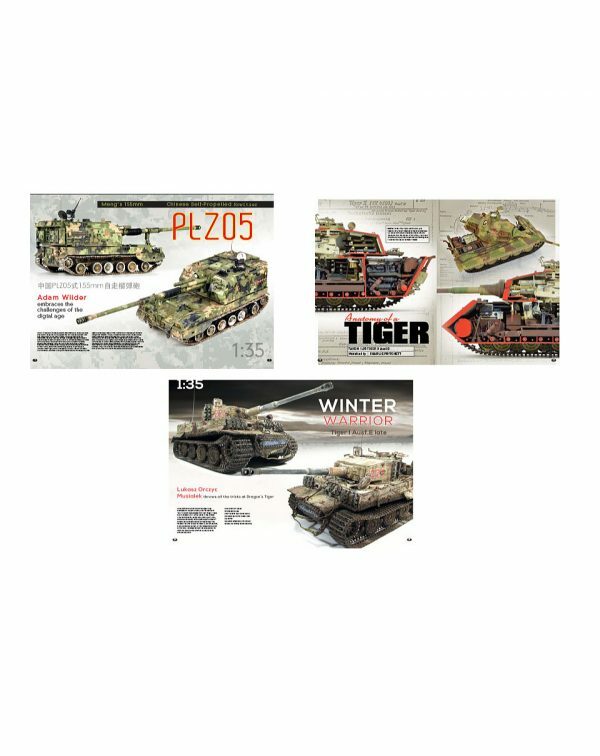 Lukasz Orczyz Musialek goes to town on Dragon’s Tiger 1 E.
Stan Spooner feels the love for Tamiya’s new 1:35 Valentine.